It’s not every day you run across a car-designing legend. Some of them make some pretty incredible road cars, but some, like Syd Mead, have a genius that can’t be contained by the confines of the every day. Some need to imagine a future where cars can fly and look slick as hell. Mead is the guy who designed the incredible worlds of Blade Runner, Aliens, and Tron. 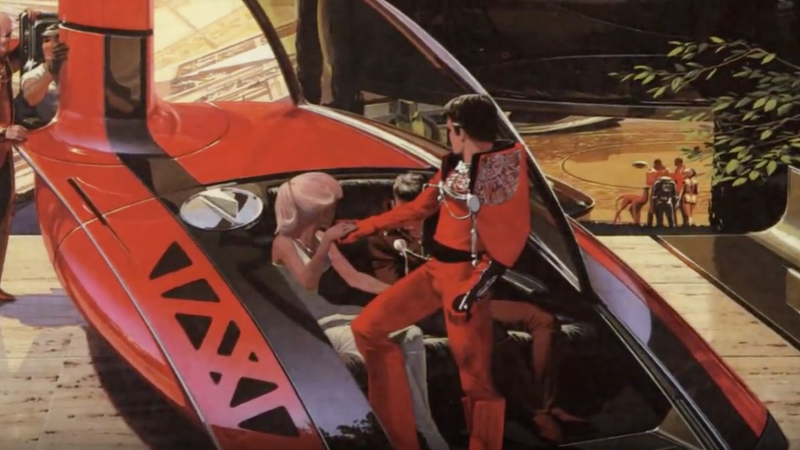 If you’ve ever looked at one of the vehicles in those films and said, “goddamn”, then you’ve had the full Syd Mead experience. He’s worked for plenty of actual motor companies, too, to make for a pretty impressive resumé. This guy’s had a hand in plenty of buckets. Today, I think it’s time for eye candy as we relax from the holidays. Let’s have a peek at some of his most incredible works and, with a little bit of imagination, think how different things could be if Mead was the guy responsible for all our car designs.